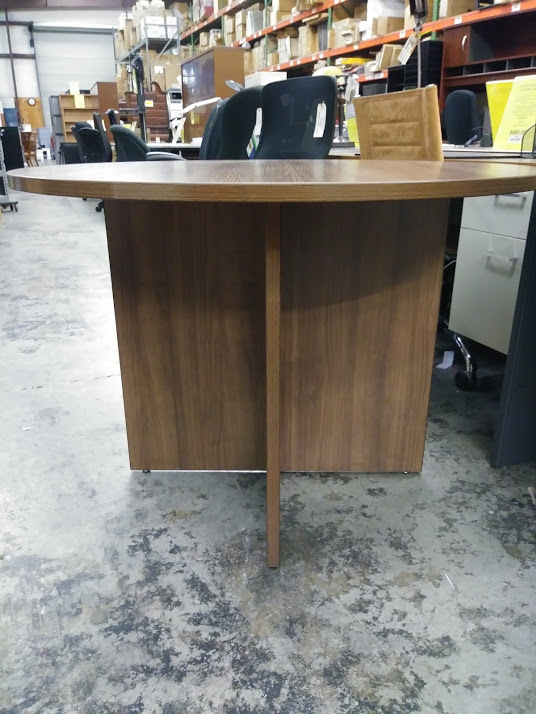 Complete your office with this Alera ALEVA7142WA Valencia 42″ round modern walnut conference table! 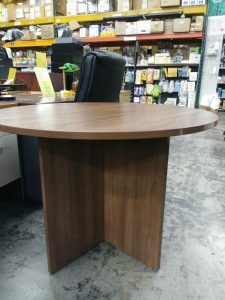 Specifically designed to match and complement Valencia furniture items to ensure a consistent, professional look, this conference table allows you to create a stylish and convenient meeting space for your employees as they come up with new ideas or strategize business plans. 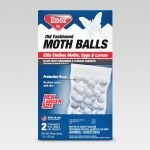 Thanks to the 3 mm edge banding and commercial-grade exterior, it is sure to withstand consistent use. 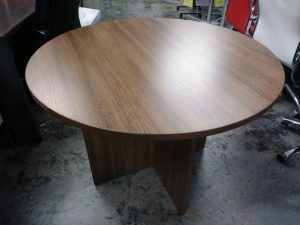 With a 1″ woodgrain laminate top, this table is scratch-, dent-, and water-resistant for an extremely durable construction. 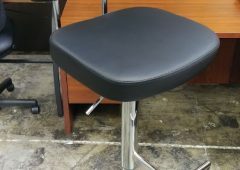 Its X-style base also has leveling glides to help compensate for uneven flooring. 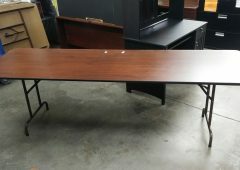 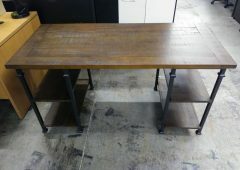 Fully assembled, this conference table is the perfect addition to your office! Shop A & M, where you can find Closeouts For Less!